Warrantywise has revealed the top ten largest repair bills from 2018. The list of the top ten repairs for the year range from £8,928 to £5,009. A cooling Fan Motor repair for a Lamborghini Aventador tops the list with a repair bill totalling a massive £8,928, which was covered by Warrantywise. 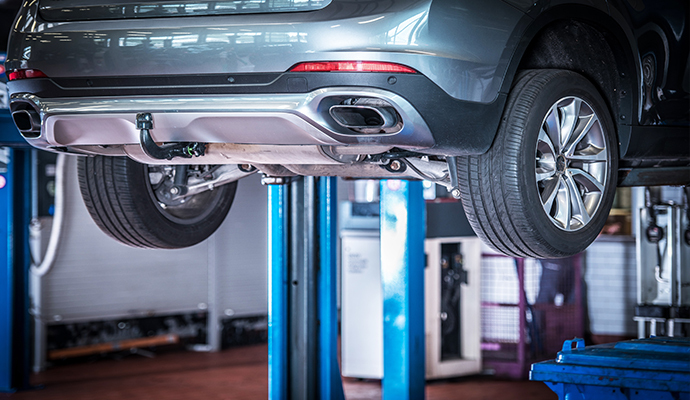 Warrantywise provides an extended vehicle warranty of the highest quality for all makes and models of vehicles, no matter how costly the repair can get. Warrantywise are a well-recognised nationwide brand, who have sold over 400,000 warranties, and pay out over 84% of claims in full. The top ten list features some of the world’s most famous cars, with the top ten payouts covering major gearbox, engine and cooling fan repairs. The second and third largest payouts for 2018 were for a Porsche 911 Carrera 2 and an Audi A1 Engine, with repair figures of £8709 and £6254. The average monthly cost of Warrantywise cover is £64 for the Porsche 911 Carrera 2 and £38 for the Audi A1, proving how the cost of having a car warranty is significantly lower than the repair cost. Warrantywise’s data also reveals just how expensive relatively minor issues can be. Repairing a fuel system fault in a Skoda Yeti, for example, came with a bill of £5,084, with a Differential repair on a Nissan X-Trail costing £5,009. Warrantywise are the only warranty company to release their paid repairs online, so customers are able to see an insight into the most common items to go wrong with their car, and confirms that (car for car) Warrantywise pay out more than any other UK warranty firm. To find out what they have paid out in car repair bills for your car visit: www.warrantywise.co.uk/authorised-repairs.